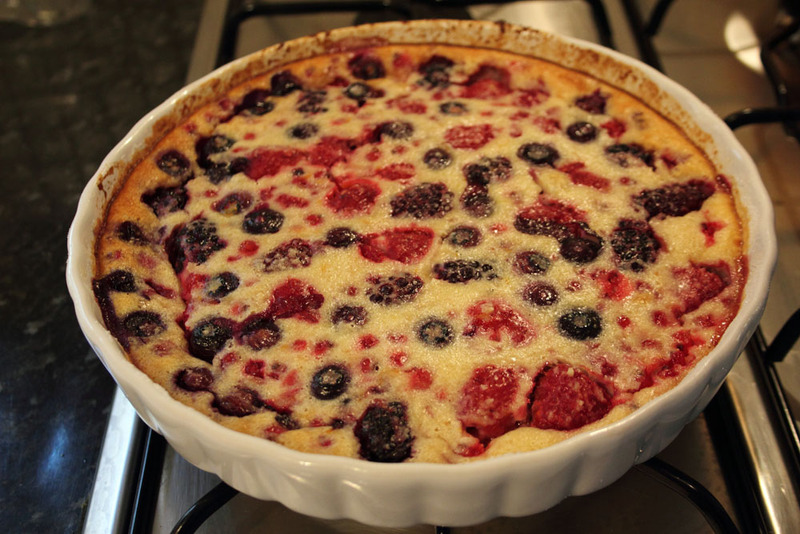 Very Berry Clafoutis – Flogging Delicious! As we start to approach the end of the summer season, we couldn’t resist making the most of the beautiful array of sweet, tart and colourful berries before we sadly have to say goodbye to seasonal British summer fruits for another year. This week, we’ve decided to play on the classic French dessert clafoutis, swapping out the traditional combination of cherries and Kirsch with lovely blueberries, blackberries and raspberries, and adding a tangy edge with some redcurrants. This eggy, pancake-like batter is super light and not at all cakey, complementing the fruits well and really letting them shine through. 1. Preheat the oven to 190°C and lightly butter a 25cm round baking dish, before sprinkling 1 tbsp caster sugar into the dish so that all the butter is well coated. Tip out any excess sugar and discard. 2. 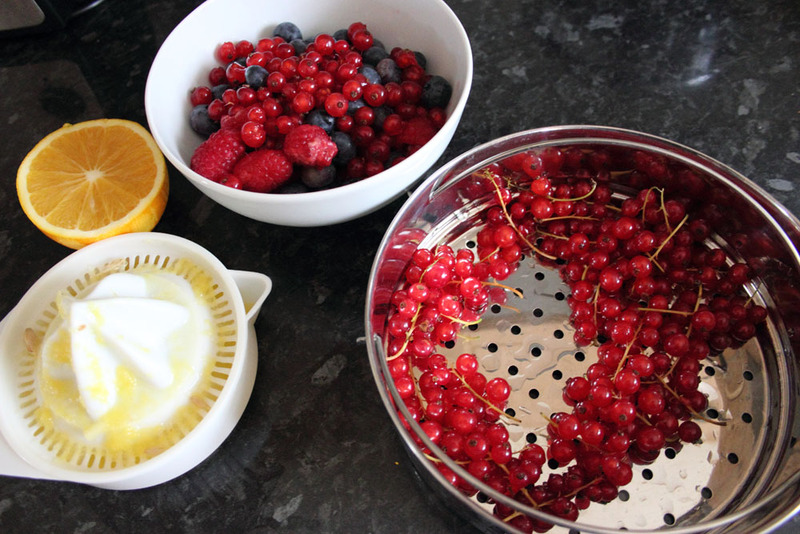 Mix the orange juice and zest into the berries and redcurrants in a bowl and lay to one side. 3. Whisk together the eggs and the remaining sugar with a handheld whisk until they are well combined. 4. Mix together the milk, cream and vanilla extract before pouring over the egg mixture and whisking until combined. 5. Fold in the ground almonds, followed by the flour and baking powder until fully incorporated into a smooth, pancake-like batter. 6. Drain the juice from the berries and currants and arrange evenly in your buttered dish. 7. Pour the clafoutis mixture over the berries and bake in the oven for approximately 40 minutes, until the top is golden brown and a skewer comes out clean. 8. Serve warm, lightly dusted with icing sugar if you wish.